If you are preparing your business for sale, it is a good idea to reduce the dependency of the business on you personally. All too often, the business owner is the only person to have contact with customers. This is great while the owner is running the business, but not good when the owner would like to sell. If you are the only person in contact with your customers, it is possible that customers are only dealing with you because of their relationships with you. Buyers are likely to see this and to be nervous that customers will not deal with them. This could put them off buying your business, or make them offer you a low price for your business. In the lead up to the sale of your business, it can be a good idea to let customers start dealing with ‘the business’ rather than simply dealing with you personally. One way to do this is to train various people to answer the phone, speak to customers and help customers with their orders. In that way, you help create an organisation that can run in your absence. This can help potential business buyers feel more comfortable with your business. This, in turn, could help you to achieve a better price when you eventually offer your business for sale. 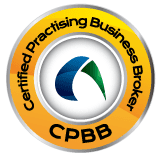 View more suggestions on preparing your business for sale.